It’s no secret that the best way to build a good credit score, is to have a track record of responsibly using some form of credit in the past. Unfortunately, if you’re just starting out it can be hard to gain access to premium credit products and that can often mean you’re left with some less-than-stellar options. If you’re in this position, rest assured – there’s hope! Check out these 5 ways the Petal credit card can help you as you continue or get started on your credit journey. If you aren’t careful, credit card fees can pile up and cost you hundreds of dollars. According to The Motley Fool, leading credit card companies made over $50 BILLION in one year from card holder fees. That’s $200 for every single American over the age of 18! When using your Petal credit card, you don’t have to worry about paying fees. 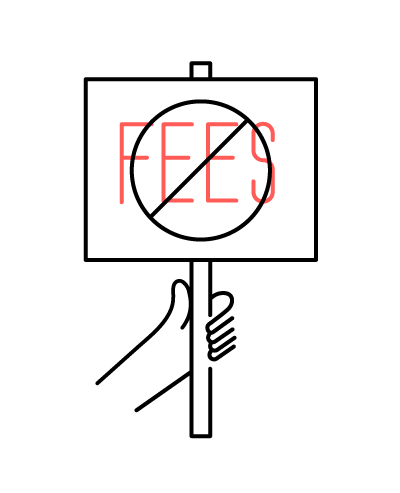 Petal got rid of all credit card fees ­– international fees, late fees, annual fees, over-limit fees, and any other kind of “fee” fees. You’ll only pay interest when you carry a balance past your payment due date, after which you will be charged a variable interest rate on your outstanding balance. This APR (annual percentage rate) ranges from 15.24% to 26.24%. Other introductory cards may have 29% or higher APRs and plenty of fees that are tacked onto their fine print. You can read more about how the Petal credit card compares to other cards using this comparison chart. Your credit score is a huge factor when qualifying for most credit cards. Unfortunately, if you’ve never had credit, you don’t have a credit score and that lack of a score can mean a lot of no’s. However, with the Petal credit card, your credit score, or lack thereof, is not the only factor taken into consideration.When applying, you connect your bank account, allowing Petal to look at the money you’re making and the bills you’re paying. In doing so, Petal gets a better understanding of your financial picture, which is more than just a credit score can offer. Petal also checks with credit bureaus to see whether you’re making responsible credit decisions and repaying your past debts (if you have any). All of this information allows your limit to be tailored to your unique circumstances, which may result in a higher credit limit than other intro credit cards. If you have no or little credit history, you’ll find that with many cards, you won’t qualify for a large credit limit. In fact, with secured cards (a type of credit card which may be available to those new to credit) you may have to send a deposit of hundreds of dollars just to use the card! Even if you do qualify for another credit card, many cards start with spending limits below $300, which often times won’t go far considering that a single phone bill or date could easily rack up over $100 in charges. With Petal, you could qualify for a credit limit anywhere from $500 up to $10,000, which could be a game changer for a lot of people new to the credit world. This means you can get a credit line with a higher limit that gives you more breathing room. If you keep your balance low, the higher limit will result in lower utilization – which many consider crucial while building credit. See if you’re pre-approved for Petal without impacting your credit score by visiting Petal's website. Not only is the Petal credit card backed by Visa, one of the leading credit card networks in the world, but it’s also issued by WebBank, which is an FDIC member and one of the best partners in the industry. This means you can use the Petal credit card anywhere Visa is accepted. Learn more about Petal’s company background on their company page. The Petal credit card comes with a mobile app for iOS and Android. The app is simple, easy to use, and is full of features that help you track your spending and pay on time - which can improve your credit score over time. When you first sign up, you can easily set up autopay, which can help you build a history of on-time payments by never missing a payment. You can also set up automated reminders to help you remember to make your payment on-time. Petal’s interest slider helps you predict how much interest you will pay each statement cycle when you choose to carry a balance. Understanding how much it will cost you to hold a balance can help you make a more informed financial decision. Lastly, Petal allows you to connect your accounts in one place so you can quickly review your spending before making important financial decisions. This tool helps make managing your money and tracking your spending, convenient. 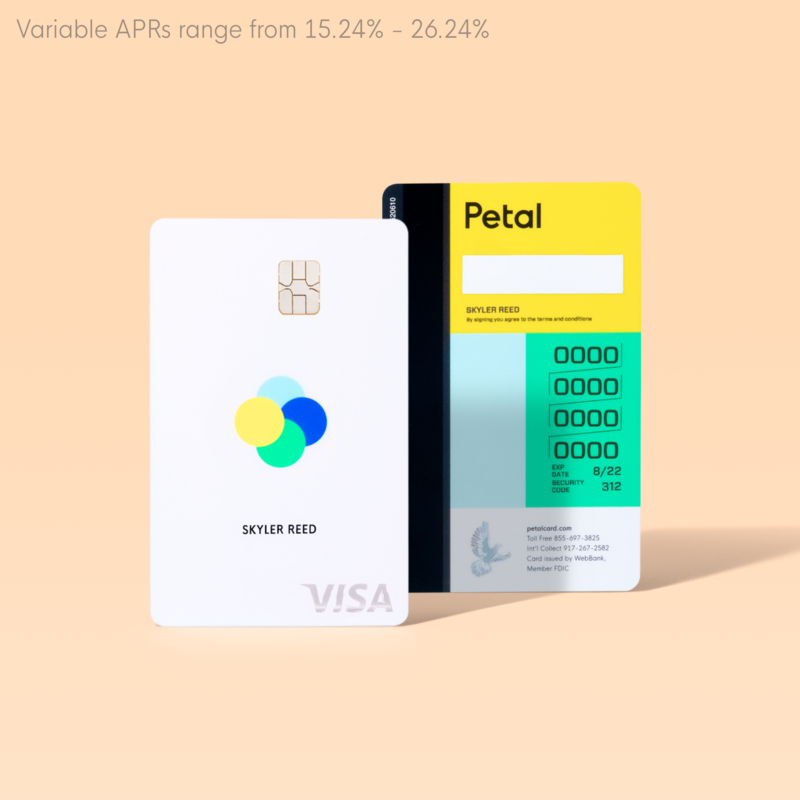 See if you can start building your credit with Petal by applying at petalcard.com. If you’re looking for an opportunity to increase your credit score with a no-fee card and a high credit limit, you should consider the Petal credit card. Just six months of on-time payments could significantly increase your credit score. Go with the credit card with a conscience, and join thousands of Petal cardholders on the journey to building great credit.